Heller alleges the hit film failed to get his consent, didn’t give him compensation, stole his work and tarnished his reputation. In a $110 million defamation lawsuit filed on Friday against producers and others connected with Straight Outta Compton, Heller slams the hit film as falsely portraying him as responsible for the break-up of the rap act consisting of Dr. Dre, Ice Cube, Eazy E and others. Heller says he didn’t take advantage of the artists, didn’t withhold a $75,000 check from Ice Cube, wasn’t enjoying lobster brunches while contracts were being finalized, wasn’t fired by Eazy E and more. The San Diego researchers planned to use the polysomnography machine to document slow-wave sleep—the phase of sleep “when it’s really hard to wake you up,” as Tomfohr describes it. Slow-wave sleep is thought to be the most restorative period of sleep, and it’s important to good health: Experiments where people are denied slow-wave sleep on purpose have shown that bodies quickly change for the worse. (One paper, published in the Proceedings of the National Academy of Sciences in 2007, found that study participants who were denied slow-wave sleep for three nights—researchers would sound an alarm in their ears when they entered this sleep phase—became less sensitive to insulin, a precursor to diabetes. )But it wasn’t just slow-wave sleep in general that interested the researchers; they specifically hoped to compare how blacks and whites experienced slow-wave sleep. And what they found was disturbing. Generally, people are thought to spend 20 percent of their night in slow-wave sleep, and the study’s white participants hit this mark. Black participants, however, spent only about 15 percent of the night in slow-wave sleep. Kim Dotcom certainly hasn’t been letting his ongoing fight against US extradition charges slow him down. On Thursday, according to Mashable, he remotely addressed a startup convention in Sydney, Australia to pitch his latest idea: an alternative internet called MegaNet. Dotcom is wanted in the US on criminal copyright infringement charges thanks to his file-hosting site Megaupload, which had a successful run until it was shuttered by the US Justice Department in 2012. Researchers at Cornell University surprised us with something new and really big! Now you can have your body parts built up in foam. For those who are bewildered to hear this; Scientists have really worked hard and successfully achieved their goal. Cornell University Researchers’ used the new “elastomer foam” to design an easily working fluid pump; which is an exact copy of the human heart. Plastic Eating Fungi Discovered — A Solution for Our Trash Saturated World? In a world addicted to plastic, it’s hard to imagine life without it. The problem is, plastic doesn’t breakdown safely and has proven itself to be exceedingly toxic for the planet and its inhabitants. 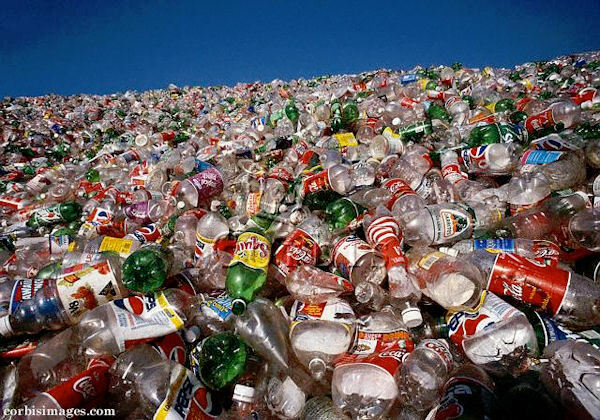 We’re drowning in the stuff and it doesn’t look like our reliance on the material will end anytime in the near future. Radical solutions are needed — and soon. Recently, a team of students discovered what very well may be part of the answer: a plastic-eating fungus. In addition to raising millions of dollars a year for breast cancer research, fundraising giant Susan G. Komen for the Cure has a lesser-known mission that eats up donor funds: patrolling the waters for other charities and events around the country that use any variation of “for the cure” in their names. Donovan’s sister, Mary Ann Tighe, said the Komen foundation sent her a letter asking her to stop using the phrase “for a cure” in their title and to never use the color pink in conjunction with their fundraising. What bothered her most about the whole ordeal, she said, was that Komen forced her to spend money and time on legal fees and proceedings instead of raising funds for cancer. It’s the most populous Muslim nation on earth. It’s where President Barack Obama attended a madrassa — a traditional Islamic religious school — in his youth. And now, it’s the lynchpin of a secret trade agreement the president has passed without congressional input. After a White House meeting on Monday, President Obama and Indonesian President Joko Widodo both confirmed their commitment to the Trans Pacific Partnership, a mostly-secret trade agreement between twelve nations. “Indonesia intends to join the TPP,” Joko told reporters after the meeting, according to The New York Times. This was among the head-scratchers to emerge from the news this week that teenage hackers had gained access to CIA director John Brennan’s unfashionable email account, yielding more than 2,500 email and instant message addresses for high-ranking government officials. But the more important question is why the boundaries between personal and work email accounts appear to be so porous in the upper echelons of the government. But do Clinton and Brennan’s use of personal email accounts endanger national security? It’s worth asking whether Brennan’s contacts—or the contents of his email—would have been measurably more secure had they been stored on servers operated by the CIA. For that matter, is any of the information stored on Clinton’s personal server more easily accessible than it would have been on a State Department server? A frightening new robotic bee has been developed named ‘RoboBee’ that has been designed to replace natural bees in pollinating crops and spraying other insects with pesticides. Although Adobe’s reader is the official way of reading PDF files, it’s also a huge application that takes a while to load and uses up large amounts of system resources. It’s also a huge 78 MB download, which is a lot of software to install and keep up to date in order to fulfill what is really a relatively simple function. Internet radio company Pandora has agreed to pay the major US record labels $90 million over streaming of pre-1972 songs, which aren’t covered under federal copyright but are covered by state-level copyrights in areas including New York and California. It’s the second big payment that will go to the Recording Industry Association of America, which has already won a $210 million settlement with SiriusXM satellite radio over the same issue. The settlement covers Pandora’s past plays of pre-1972 music, and it also covers the music service through the end of 2016. At that time, Pandora will have to reach another licensing deal with the RIAA if it wants to keep playing the old music. The two parties continue to be engaged in a dispute at the Copyright Royalty Board about how much Pandora should pay per song. The settlement announced today doesn’t affect that dispute, which is ongoing. It’s an unfortunate truth that humans don’t always eat what’s good for us — and we don’t always eat what’s good for the planet, either. Food production, alone, is a significant (and growing) contributor to greenhouse gas emissions. And combined with the fuel required to transport various types of in-demand meat and produce around the world, the meat and potatoes on our plates might just have a bigger carbon footprint than we’d like to think about. So promoting more sustainable food choices is a big concern among environmentalists. The question is whether consumers are actually interested in buying climate-friendly meals — and researchers from the Swiss Federal Institute of Technology in Zurich argue that they are. Researchers Vivianne Visschers and Michael Siegrist conducted two experiments in a cafeteria at their university to find out whether consumers found climate-friendly meals as satisfying as other meals, and whether a climate-friendly label would encourage people to buy the product. They hypothesized that the greater a meal’s “global warming potential” (that is, the amount of greenhouse gas emissions that went into making it), the more satisfying it would be to consumers. This is because many popular foods, such as many types of meats, also tend to have large carbon footprints. According to new research in rat models, nicotine use over time increases the speed that codeine is converted into morphine within the brain, by increasing the amount of a specific enzyme. It appears smokers’ brains are being primed for a bigger buzz from this common pain killer — which could put them at a higher risk for addiction, and possibly even overdose. As anyone who grew up in the Ohio River Valley knows, the greatest champion of the fruit was a wandering missionary named John Chapman, or Johnny Appleseed. Pennsylvania, Ohio, Indiana and beyond bloomed in the wake of his visits. He was opposed to grafting, the practice of inserting “a section of a stem with leaf buds is inserted into the stock of a tree” to reproduce the same type of apples from the first tree, as described by the University of Minnesota. Without the human intervention, however, apples remained overwhelmingly bitter and when an anti-alcohol fervor swept the nation in the late 19th century, the plant’s fate was in peril. One of the fiercest of opponents, temperance supporter and axe-wielding activist Carrie Nation, went after both growers and bars, leaving a wake of destruction in her path. Nation was arrested 30 times in a ten-year span for vandalism in the name of her movement, according to PBS. “But with the help of early public relations pioneers crafting slogans such as “an apple a day keeps the doctor away,” the plant quickly reinvented itself as a healthy foodstuff,” according to the PBS production of Pollan’s work. Held up as the paragon of moral fastidiousness, teachers, particularly on the frontier, frequently received sustenance from their pupils. “Families whose children attended schools were often responsible for housing and feeding frontier teachers,” according to a PBS special, titled “Frontier House, Frontier Life.” An apple could show appreciation for a teacher sometimes in charge of more than 50 students. Though there are a large number of hardware drivers came with Windows 7 RC, for the support to some older plug-and-play peripherals, they are with limited help. I try to run an outdated web camera in Windows 7. This small-brand product is produced in 2004. It is too old and no way to find or download its driver in official Windows 7 website. When I set up this camera, surely, it can not be correctly identified by the Windows 7 system. Open the Device Manager (Start – Control Panel – System – Hardware – Device Manager), and there is a yellow exclamatory mark beside my web camera, which means my computer can not locate the camera’s driver. Although I know this web camera uses a 301P chip, there has not been any driver of this version for Windows 7. Then I bring it to mind that probably I can update drivers though Windows Update in Windows 7. First I click Start, select All Programs and choose Window Update to open the Microsoft Windows Update website. Second, I check the latest updates for my computer in this site and then I find a driver named VIMICRO-image- Lenovo Q350 USB PC Camera there. Third, I follow the step-by-step instructions and update this driver automatically. All told, the new bands include 3,850MHz of spectrum, enough to fuel so-called 5G mobile technologies that are expected to include high speed, low latency and support for many more connected devices in crowded areas, according to the FCC. The U.S. led the world in adoption of 4G LTE, and adopting the new frequencies will help maintain that leadership, FCC Chairman Tom Wheeler said at the Commission’s monthly public meeting on Thursday. As Google proved in 1998, if you want to rule the internet, the key is search. Last year, Facebook expanded its search feature to include not just users, but individual posts. This, coupled with added news features and tools aimed at journalists in past months, is all a part of Facebook’s dream of being not just the biggest, but the only website on the internet that matters. In a new regulatory filing, the Department of Transportation has suggested that it will require new drone owners to have “aircraft identification and marking” on their aircraft, similar to tail numbers on manned planes.Earlier this week, the DOT announced the creation of its new “national registry” of drones. 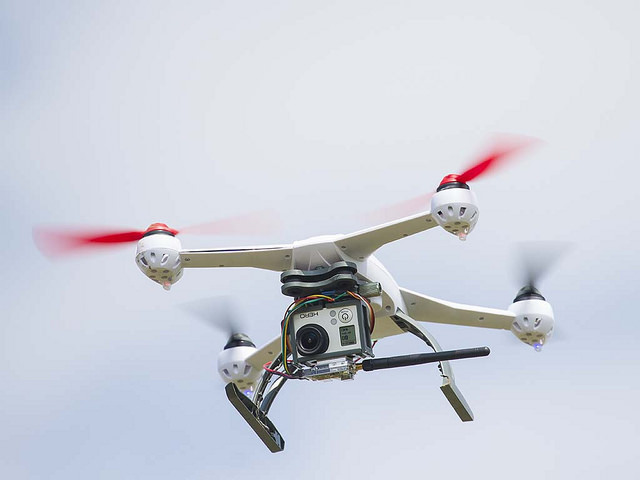 The document, which was published in the Federal Register on Wednesday, cites the rapid increase in the numbers of airborne drones spotted by pilots—apparently double the rate in 2015 compared to 2014. Source: When A White Guy Killed In Sweden It Was Terrorism, When An Eritrean Migrant Did, It Wasn’t. Why? How to Reverse Look Up Any Cell Number in the USA! How to Find a Person’s Name, Age, Address Etc From a Cell Phone Number? A wireless number, as we all know, is a private number and is protected by privacy laws and it is because of this that these numbers are not included in the White Pages. That is why people nowadays prefer getting a mobile phone rather than a landline. By doing this, they have control of who to give their numbers to and who gets to have information about them. How to Trace a Cell Number to Its Owner – Find Name, Address, Age and More! The reason why more and more people are switching to getting a cell phone number is because of its confidentiality. As compared to a regular landline number, directories such as the Yellow and White Pages has abstained from publicly listing cellular phones numbers due to various Privacy Acts. The discretion as to whom and how many would know your mobile phone number is entirely up to you. Trace a Cell Number to Its Owner – This is the Only Practical Method! Trace Any Cell Phone Number to Its Owner – The Quick and Easy Solution! Since the invention and consequent adoption of cell phones into our lives, communication has become so much easier. All in all, there is always a flip side to things and this could just prove it: Have you ever suspected unfaithfulness in your partner who gets unusual calls on their mobile? Have you ever received an anonymous call and wanted to confirm the caller? Find a Person’s Name and Address From a Cell Number – What’s the Best Option? The best thing about the Internet is that you can find just about everything under the sun. And you would’ve probably also heard its’ ability to trace phone numbers. Yes, that is now possible. All you need to do is gain access to these reverse directories and within minutes, you can have something similar to a background report on someone. Can You Trace Unlisted Cell Phone Numbers? Yes You Can, There is One Way! Did you know that no matter how many attempts you make, you won’t ever find anyone’s mobile number in the White Pages, or for that matter any public directory? Mobile phone numbers are unlisted due to certain laws enforced to protect the privacy of users. People go for mobile phones because of their portability and provision for more privacy. How Trace the Owner of an Unknown Cell Number – Takes Only 2 Minutes With the Right Tools! If you’ve tried looking up cell phone numbers in the white or yellow pages of a regular phonebook, you would have already discovered that they are unlisted. Cell phone users’ privacy rights are protected through certain laws. After all, privacy is the key reason why people opt for wireless phones; you retain the right to share your number with only those who you wish to share it with. Democratic Presidential Candidate and self-proclaimed Socialist Bernie Sanders may be in hot water after a video was uncovered that shows him glorifying communist murderer, Fidel Castro. “The fact is that at the infirmary, the thermometer was broken, and at the clinic lab, there was a long line of upset people, while the lab technician held a cheerful telephone conversation, indifferent to any complaint. Monsanto Company is fighting back against California’s recent decision to list glyphosate, the main ingredient in Monsanto’s popular herbicide RoundUp, as a cancer-causing chemical. In late September, California’s Office of Environmental Health Hazard Assessment (OEHHA) issued a notice stating that glyphosate would be added to the state’s list of cancer-causing chemicals under the state’s Safe Drinking Water and Toxic Enforcement Act of 1986, also known as Proposition 65. The decision was made after the International Agency for Research on Cancer (IARC), the research agency of the World Health Organization (WHO), published a report in March that classified glyphosate “as probably carcinogenic to humans.” State officials said this decision is a requirement following the IARC’s findings. There is a superstitious belief that a black cat is equal to bad luck. That fact probably leads to not so good statistics related to cats of this color; they have the lowest adoption rates and the highest euthanasia rates in the animal shelters. 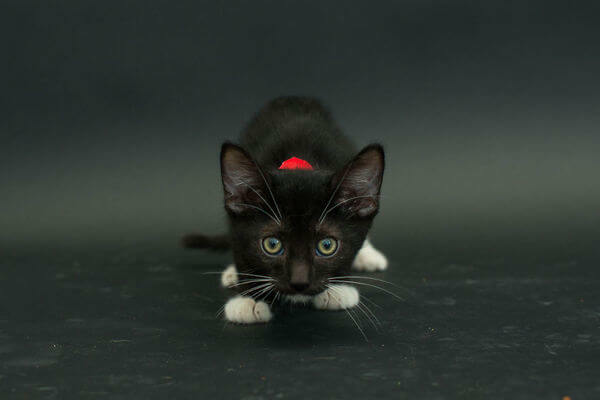 One photographer wanted to do something about this injustice and photographed black cats in one shelter in West Los Angeles, in order to show their true personalities and make people look beyond some silly superstition. He thinks black cats are awesome. Look at the photos in gallery below and maybe you’ll want one just like that for your beloved pet. Massive teeth belonging to the now extinct Megalodon have been washing up on the beaches of North Carolina recently. According to “experts” this is the result of the fossilized teeth being jarred loose from the ocean floor after storms swept through the area. In really, really bad news for bacon lovers, a shock report says the World Health Organisation (WHO) will next week add processed meat to its “carcinogenic to humans” list. That’s according to the Daily Mail, which claims that, according to “a well-placed source”, a gathering of international scientists have checked the evidence and decided processed meat merits a top risk ranking, along with alcohol, asbestos, arsenic and cigarettes. The Mail says processed meat consumption has been linked to bowel cancer, “Britain’s second biggest cancer killer”. The Department of Health has tentatively said it “probably” increases the risk of deadly gut rot, but WHO intends to go further by declaring the practice extremely ill-advised. Those who believe they can still get their meat fix by ditching the processed variety and switching to the fresh red flavour should be warned that WHO also intends to rate this as “probably carcinogenic to humans”.